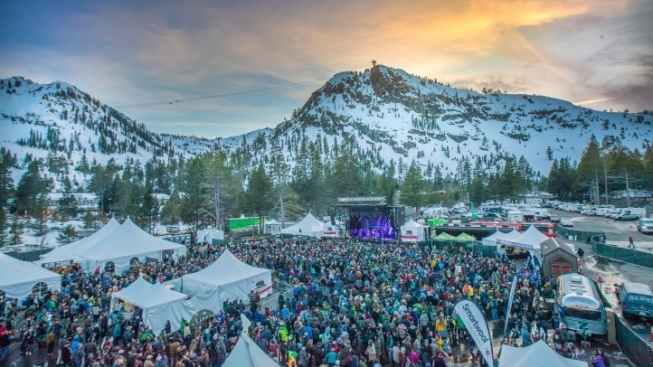 The Tahoe tradition welcomes spring with sounds, brews, and truly cool vibes. This snowy sound spectacular'll close out late March in North Lake Tahoe. WINTERWONDERGRASS... that we're talking about, the North Lake Tahoe festival that will fill up the final three days of the third month with music, quality brews, and, you bet, skiing and the sports o' winter. That's one of the qualities that sets this quality happening apart, but there are many, including its dedications to beautiful bluegrass tunes and its stunning Squaw Valley setting. As for the bands set to strum away in 2019? Greensky Bluegrass, Trampled by Turtles, Leftover Salmon, and Sam Bush Band are the headliners of the big-big-big bash. There are some other intriguing elements, too, like Grass After Dark, meaning you have the chance to catch some of the artists playing live in Truckee and other spots. TICKETS, and more information on the line-up, and what's happening the slopes, and what's happening on the yoga mats, and what you might be sipping, suds-wise? There's a lot brewing, for sure, as March winds down. But the most major thing brewing is the fact that one of the great music festivals isn't a staple of our warmest time of the year, but, rather a scene that has some schuss to its spirit. Find out more now.